The Rutgers University Center of Ocean Observing Leadership integrates across interdisciplinary scientific research, education and outreach and the application of an operational ocean observing system. Faculty and students comprising the scientific teams participate in collaborative research programs in which academic, industry and government partnerships are forged between physicists and biologists, between scientists and engineers, and between observationalists and modelers. The education group is the focal point for outreach activities to the K-12 community and to non-science majors within Rutgers. The Operations Center maintains a sustained coastal ocean observatory that provides real-time ocean data to the research and education groups and also serves as the training ground for Operational Oceanography students. RUCOOL installed a satellite dish for acquiring real-time data from environmental satellites in 1992. We became the first online provider of regional real-time sea surface temperature images in late 1994. 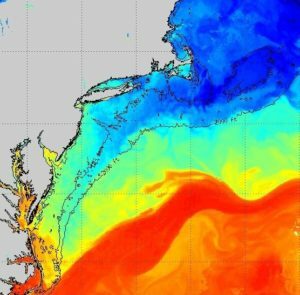 RUCOOL currently receives satellite data from the NOAA, NASA and EUMETSAT (Europe) agencies and tracks polar-orbiting satellites that can be used for real-time ocean sampling guidance and for longer-term forecasting. Rutgers acquires data from the NOAA Polar Orbiters (TIROS-N), NASA Aqua & Terra, and MetOp satellites. These satellites typically orbit the earth approximately 500 miles above the surface and are constantly circling the Earth in an almost north-south orbit, passing close to both poles. Though they only pass over a given location every 12 hours, they typically provide higher resolution imagery than GOES satellite data that is regularly used on television weather forecasts. Real-time sea surface temperature data is available here. CODARs are compact HF radar systems that provide a current mapping, wave monitoring and ship tracking capability. COOL has continuously operated CODAR HF radars since 1999. COOL currently owns and operates 24 individual CODAR HF radars including a three nested multi-static network in the New York Bight and Palmer Deep Antarctica. Traditional HF radars operate in a monostatic backscatter mode, where the transmitter and receiver are collocated. Multi-static operation, enabled by GPS-based synchronization, allows a radar receiver to acquire signals from any radar transmitter within range. This transforms N individual mono-static radars into a network of N2 multi-static radars, increasing both the coverage area and the accuracy of the derived current fields. Nesting is achieved by operating at different frequencies, in our case 5 MHz, 13 MHz and 25 MHz. Higher frequencies result in higher resolution but over shorter ranges. The long range 5 MHz network is deployed from Cape May, NJ to Cape Cod, MA providing coverage of the continental shelf out beyond the shelf break and consists of 10 sites. We partner with others institutions to extend coverage down to Cape Hatteras. The intermediate 13 MHz network is along the entire New Jersey coast and consists of 7 sites. 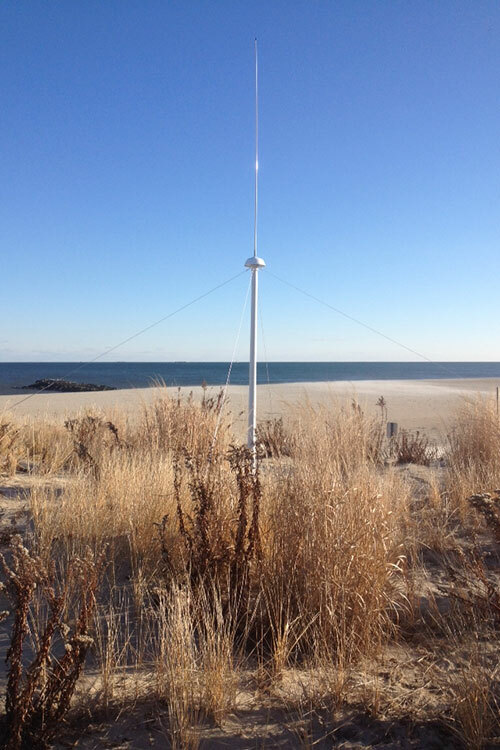 The high-resolution 25 MHz network is deployed at the entrance to and within New York Harbor and Delaware Bay – each of which has 3 sites. These sites are gps synchronized providing additional bistatic fields of component vectors. 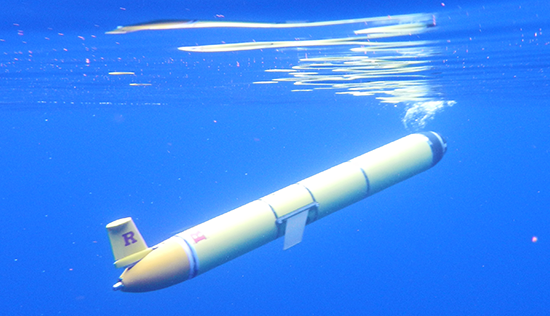 Slocum Gliders are autonomous underwater vehicles that propel themselves through the water by changing their buoyancy and using their wings to glide in a sawtooth pattern through the water column along a subsurface transect. At user specified intervals, the glider surfaces, transmits its data to shore via the Iridium satellite system, and checks its email boxes for new directions or missions. The Slocum Gliders have been operated jointly by COOL scientists and Webb Research Corporation engineers in science experiments since 1999, transitioning to sustained deployments by the COOL Operations Center in 2003. Since then, the gliders have logged over 140,000 km of sampling in remote places such as Antarctica, Alaska, South Africa, Brazil, Sri Lanka, Norway, and in regions closer to home including the New York Bight, offshore Massachusetts, Virginia and Florida. The fleet of 15 gliders now includes long duration gliders capable of several months of flight, stemming from the historic mission of RU27, the first glider to cross an ocean basin. Sensors on the gliders currently include a SeaBird CTD and a payload bay capable of carrying one of several optical sensors, including fluorometers and backscatter meters, a Beam Attenuation Meter (BAM), a hyperspectral spectrophotometer (Breve Buster), or a Fluorescence Induction and Relaxation (FIRe) sensor. Newly introduced sensors include a LISST for sediment transport measurement, pH sensor and a zooplankton acoustic sensor. A mission control center monitors glider progress on current missions and alerts operators of any problems. Artificial intelligence is being added to the mission control center using an Agent oriented programming approach similar to NASA’s approach for intelligent spacecraft. Reactive Agents are currently used to make many of the yes/no control decisions while Planning Agents are being developed to adjust flight paths to optimize sampling for specific goals. RUCOOL has extensive access to computing facilities and data distribution systems, both in-house and as part of the broader Rutgers University research computing initiative. The group owns 9 multi-core Linux compute servers for the automated acquisition, processing and visualization of datasets. In addition to this, the lab has 2 web servers for distributing the processed and raw datasets. 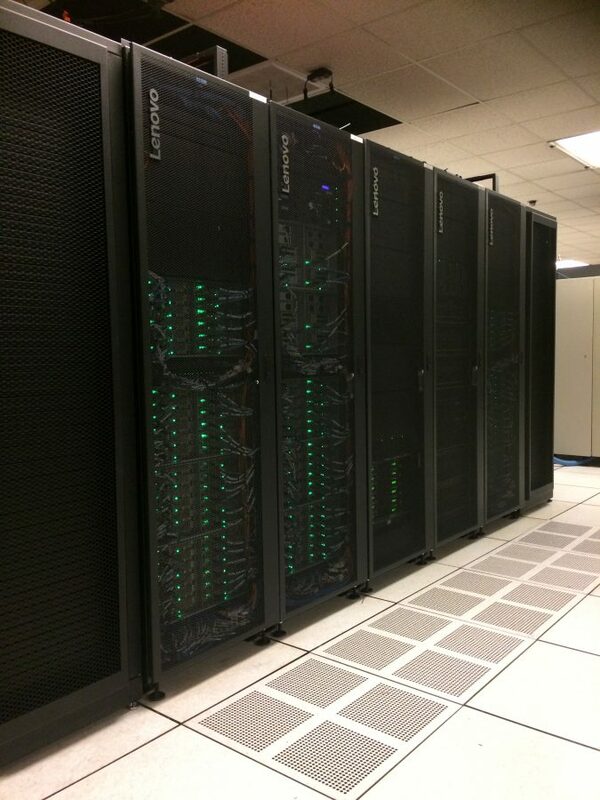 For research projects involving modeling of the ocean and atmosphere, RUCOOL owns 3 compute nodes on the DMCS computing cluster, Yojo. Additionally, the group owns 2 compute nodes on Amarel, the high-performance computing cluster housed at the Rutgers University Office of Advanced Research Computing. Amarel is used for daily, real-time model runs of the RU-WRF mesoscale atmospheric model, in addition to modeling for various research projects. In-house systems are administered by a 3 person technical computing team and have extremely high up times (~99%). All of the datasets are stored on a local networked fileserver (total 500 Tb capacity), with high-throughput (10 Gb/s) connections to the University’s broader research computing network. 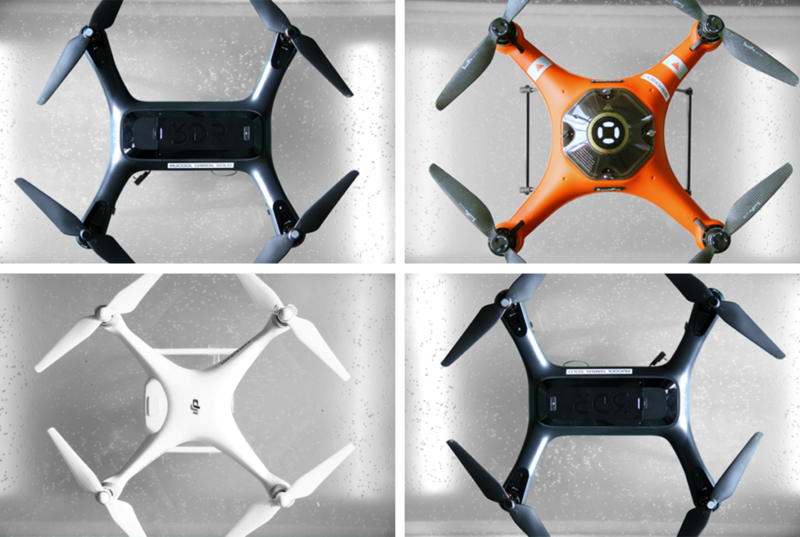 RUCOOL has recently begun utilizing Unoccupied Aircraft Systems (UAS) or drones as platforms for our research. The Center currently maintains a fleet of four vehicles for a multitude of projects. Two members of the Center hold their Remote Pilot license as certified by the Federal Aviation Administration (FAA). These platforms provide on-demand remote sensing capabilities for a number of sensors with low cost and reduced human risk to other aerial platforms. The Rutgers COOL lab shares other laboratory facilities. First, the Ecology and Physiology of Marine Organisms laboratory (Dr. Grace Saba) is designed for investigating zooplankton and fish response to environmental stressors and includes a Loligo Systems respirometry system (DAQ-M, Witrox-4 boxes, AutoResp software), metabolic chambers of various sizes, an Imaging Flow CytoBot (IFCB), SBE 55 Frame ECO Water Sampler (with 6 x 4-liter Niskin bottles), Agilent 1100 series High Performance Liquid Chromatograph system, Turner Trilogy laboratory fluorometer, Zeiss Axio inverted microscope (with Axiocam and imaging software), Zeiss Discovery V8 dissecting microscope (with camera), Zeiss Stemi 508 dissecting microscope, ring nets (various mesh sizes, filtering and non-filtering cod ends, and flowmeters), a Metrohm Alkalkinty Titrator (888 Titrando, iUnitrode pH electrodes, and accompanying software), and a Honeywell Durafet III pH electrode with UDA2182 analyzer. Additionally, we share one of the world’s largest phytoplankton analysis facilities built in collaboration with Dr. Paul Falkowski’s Environmental Biophysics and Molecular Ecology Lab for performing studies in molecular biology, biochemistry, and biophysics. The facility is shared between Drs. Falkowski and Schofield, as well as Drs. Kay D. Bidle and Maxim Gorbunov. The facility is outfitted with a full suite of microbiological supplies, several 44 sq ft. Honeywell constant temperature rooms, two mass spectrometers, two scanning UV/vis Aminco DW-2000 spectrophotometers, 3 Fast Repetition Rate Fluorometers, an SLM Luminescence UV/vis spectrofluorometer, a Coulter Multisizer, a full genomics laboratory with full sequence capability, a Pulse Amplitude Modulated Fluorometer, 3 Photosynthetrons, 1 Shimadzu High Performance Liquid Chromatograph, a Perkin Elmer C/N Analyzer, a scintillation counter, an Olympus IX71 Inverted Microscope with epifluorescence, phase contrast, differential interference contrast, and modulation contrast capabilities, an Accuri C6 benchtop flow cytometer, an InFlux Model 209S Mariner flow cytometer and high-speed cell sorter (with solid-state 355nm 60mW UV and 488nm 200mW blue lasers, a 4 way sort module, 2 scatter, 2 polarized and 4 fluorescence detectors; BD Biosciences). COOL researchers maintain an extensive set of towed platforms, winched profiling systems, and hand-deployed profilers for shipboard sampling. Towed systems include a SWATH downward facing ADCP and a Guildline Inc. MiniBat undulating tow body containing a FSI CTD, a WET Labs Fluorometer and a DTA OBS. Profiling sensors include standard physical CTDs and numerous bio-optical sensors to characterize both the apparent and inherent optical properties. Optical sensors include a Satlantic downward and upward facing ultraviolet/visible radiometer, a WET Labs ac-9, a WET Labs spectral fluorescence excitation/emission fluorometer (SaFire), 2 3-wavelegnth WET Labs EcoVSF systems, and 2 Sequoia LISST systems, a Satlantic hyperspectral radiometric buoy (TSRB), a HOBI labs 6-wavelength backscatter sensor (HS-6), a bioluminescence bathyphotometer (BIOLUM) and an above water hyperspectral HOBI labs reflectance meter (HYDRORAD).